Have you every wondered if you’re in the right job? Does illustration, web or graphic design really suit your personality? If that’s a question you’ve ever asked yourself, you may well be interested in this insightful infographic from the team at Business Insider. 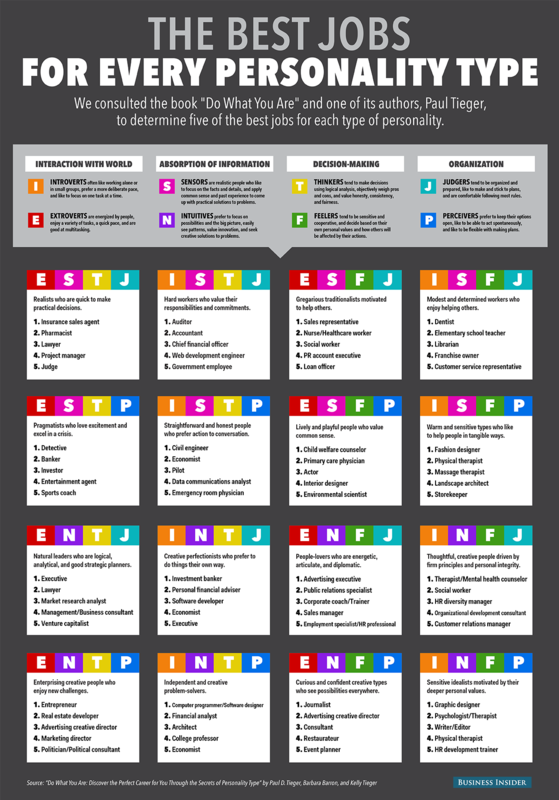 Using popular personality guide ‘Do What You Are: Discover the Perfect Career for you through the Secrets of Personality Type’, the team has worked to determine five of the best jobs for every personality. So, are you in the right role?